You can create a strong craft show application, and avoid the common pitfalls that many people make with our list. If you are applying to a juried craft show, read this first! 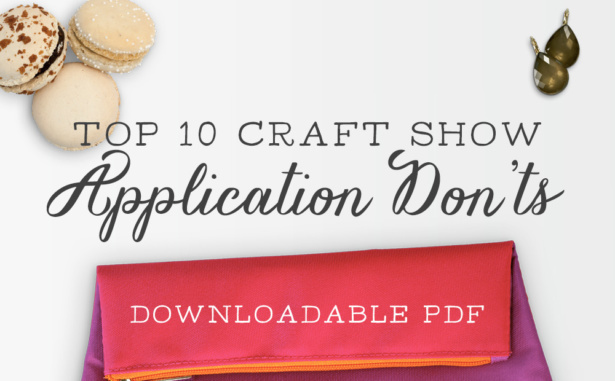 If you have applied to a craft show and been rejected, grab our guide to avoid that next time. After you’ve grabbed the guide, make sure to watch our video interview with Nicole about craft shows.